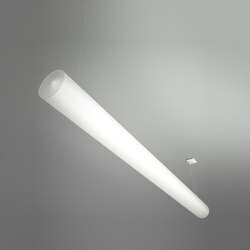 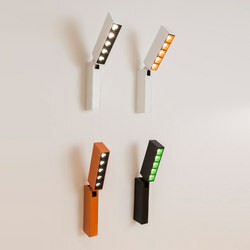 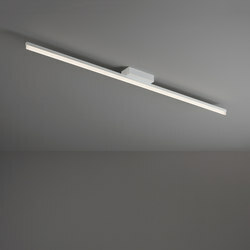 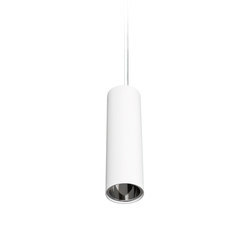 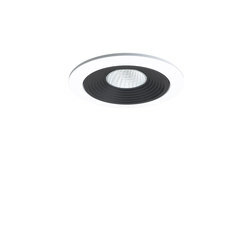 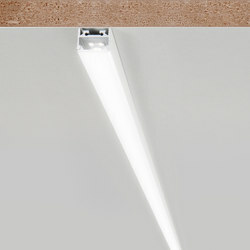 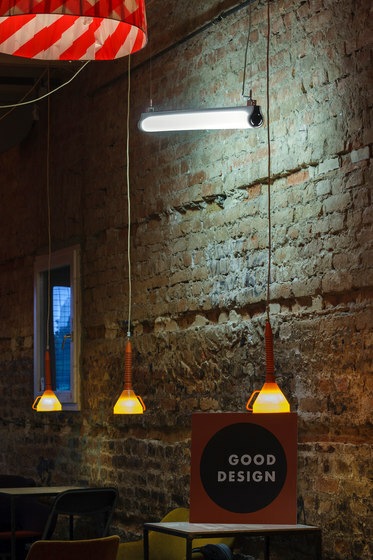 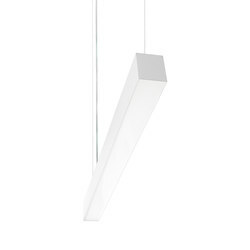 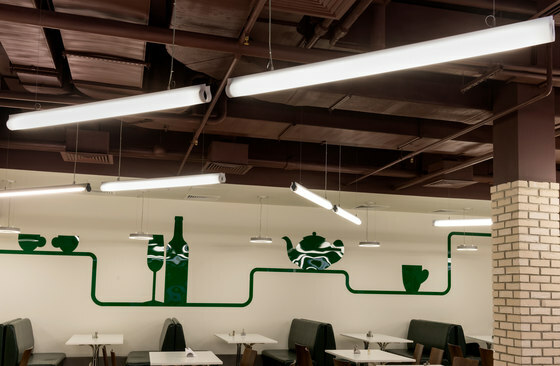 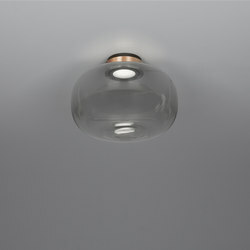 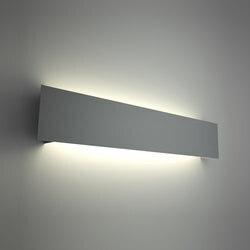 A ceiling mounted luminaire of simple and discrete design. 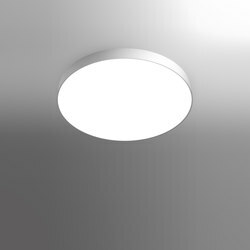 Its diffuser of PMMA enables a large illuminated surface providing a soft general illumination, while completely obscuring the housing. 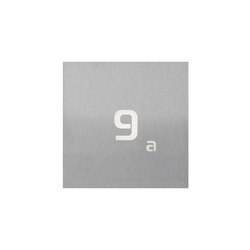 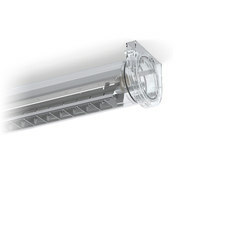 Lateral caps are made of polycarbonate, in anthracite colour. 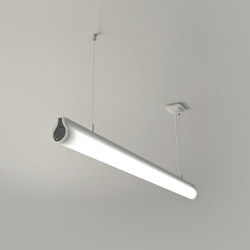 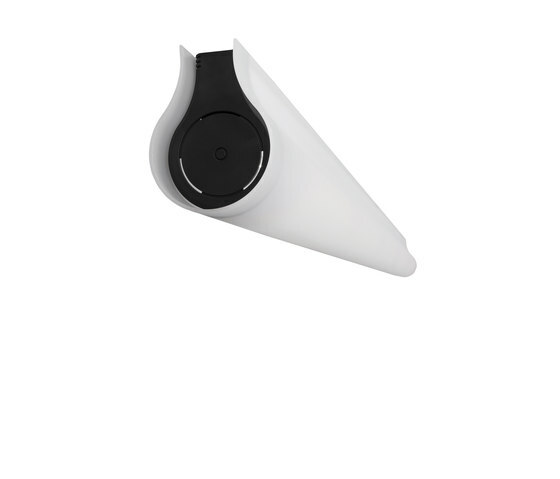 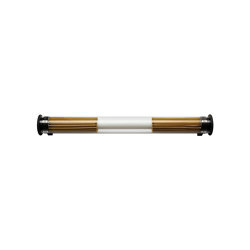 Available in track, suspended or surface mounted version. 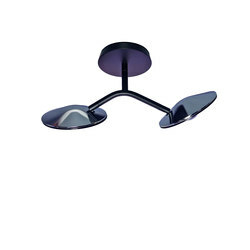 Easy mounting and tool free maintenance. 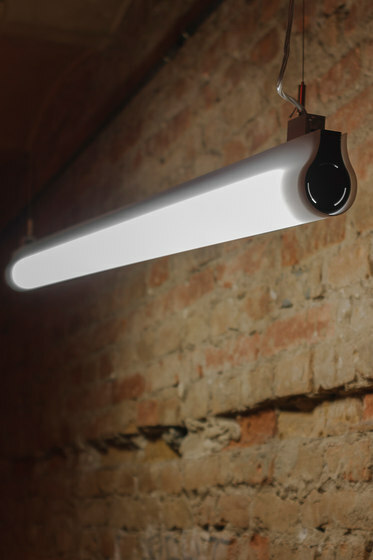 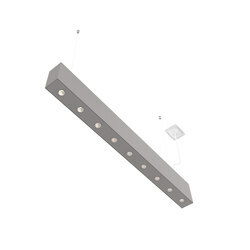 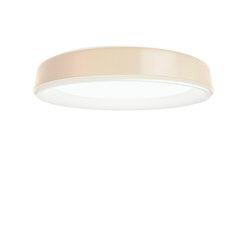 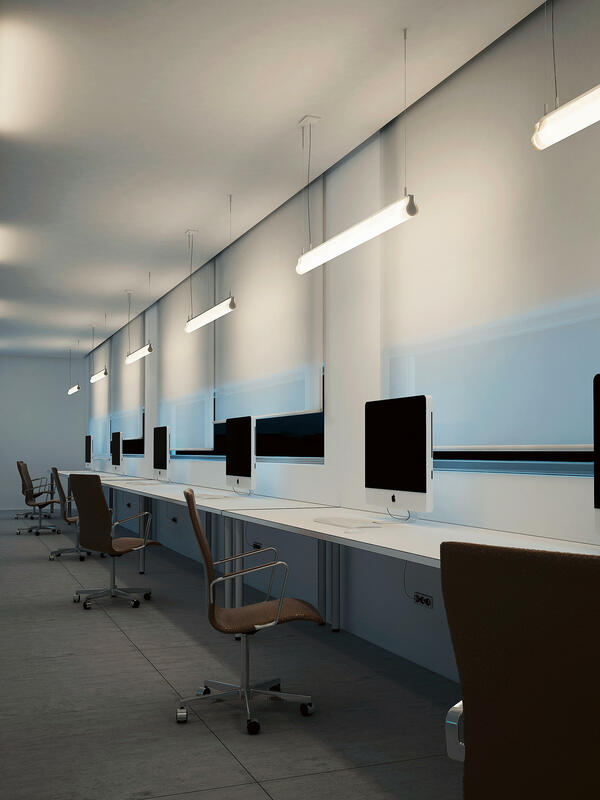 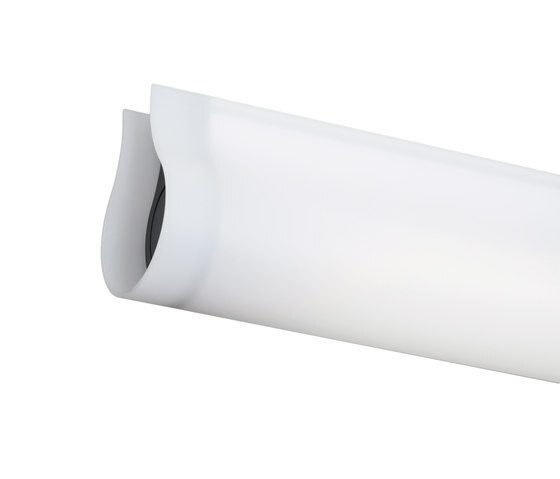 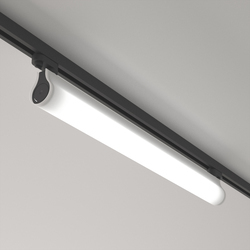 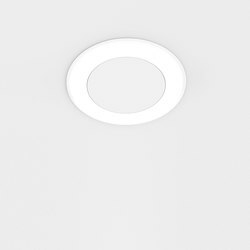 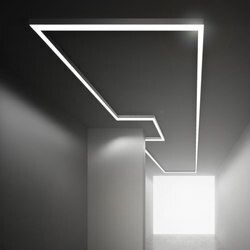 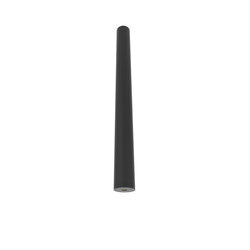 A soft light line for surface, track or suspended mounting, ideal for general illumination of all types of spaces, especially corridors, galleries, offices or spaces requiring a perticular elegance in interior design. 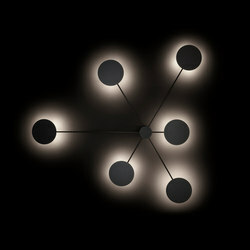 Different multiplication patterns can be applied for diverse light effects, as light lines or geometric forms.